In the mood for fall fun? 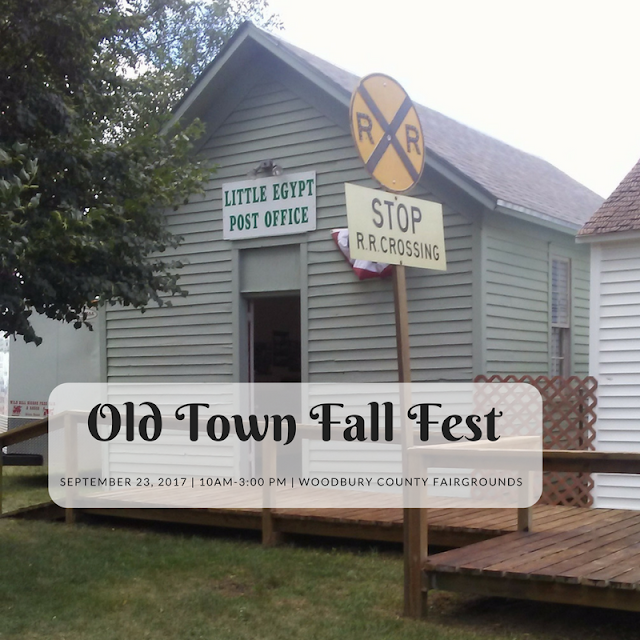 You won't want to miss 2nd Annual Old Town Fall Fest in Moville, Iowa this weekend, Saturday September 23rd from 10am-3pm. 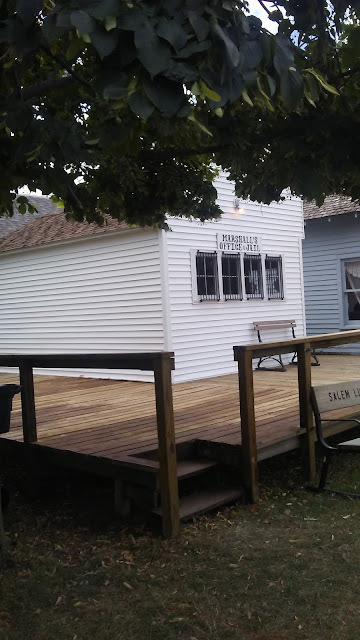 One of Woodbury County's best kept secrets is Old Town at the Woodbury County Fairgrounds in Moville, Iowa (keep going about 10 minutes past Menards on 20 East, then turn left at the sign for the fairgounds, towards the water tower!). Aside from its use as the kids zone for the fair, Old Town doesn't get much love. But it should. Old Town is a collection of buildings from the oldest days of pioneer settlement in Woodbury County, including a school, bank, jail, church, and train station. My 8 year old actually said his favorite part of the fair was exploring Old Town. And this year is the second annual Fall Festival in Old Town!